After testing so many beta versions, Apple has finally released the full and final updates of iOS 9.3.2 Firmware (Build: 13F72 / 13F69) for iPhone, iPad and iPod Touch, tvOS 9.2.1 (Build: 13Y772) for Apple TV (4th Generation), watchOS 2.2.1 (Build: 13V420) for Apple Watch, Apple Watch Sport, Apple Watch Hermes, Apple Watch Edition and Safari 9.1.1 web browser for OS X El Capitan v10.11.5, OS X Yosemite v10.10.5, and OS X Mavericks v10.9.5. The Official Direct Download Links of iOS 9.3.2 Final .IPSW Files for iPhone SE, iPhone 6S Plus, iPhone 6S, iPhone 6 Plus, iPhone 6, iPhone 5S, iPhone 5C, iPhone 5, iPhone 4S, iPad Pro, iPad Mini 4, iPad Mini 3, iPad Mini 2, iPad Mini, iPad Air 4, iPad Air 3, iPad Air 2, iPad Air, iPad 2, iPod Touch 6 and iPod Touch 5 are available below. 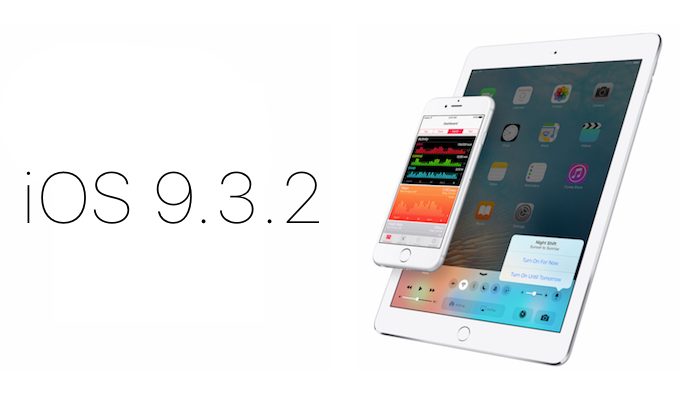 The latest iOS 9.3.2 Update includes several new features and functionalities improvements, enhancements and changes in terms of performance, security, stability and bugs fixes. You can read full iOS 9.3.2 features in image below. Currently, no official working Untethered iOS 9.3.2 Jailbreak is available from team "PanGu, TaiG and PP". So we all have to wait a little bit more. 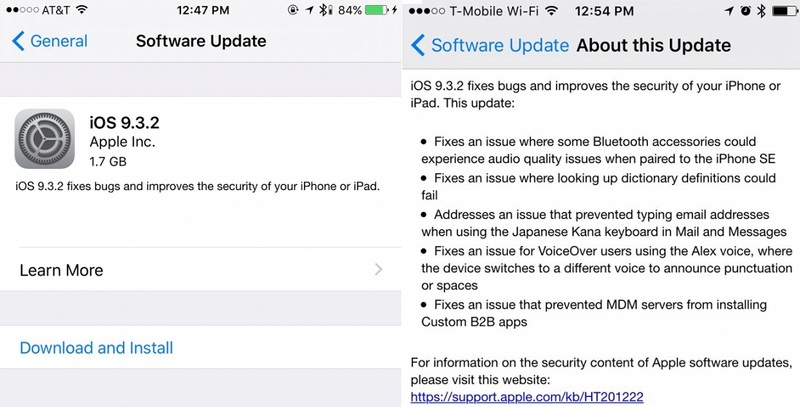 Apple iDevice users can instantly get iOS 9.3.2 OTA Update on iPhone, iPad and iPod Touch through Settings >> General >> Software Update option. All iOS developers can visit iOS developer portal website for official iOS 9.3.2 Downloads. Whereas, All non-developers can free download, install and activate iOS 9.3.2 without UDID developer account for free using iTunes software.